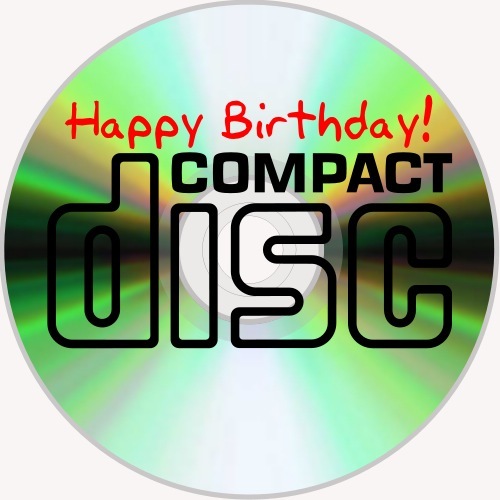 Happy 30th Birthday, Compact Disc! Compact discs weren't always impromptu drink coasters. Once, in the not-so-distant past, they played music, contained pictures, and let people play video games with tacked-on FMV sequences. And today, the venerable CD turned 30. Happy birthday! 1979-2009.Thirty years. Pretty amazing that it's been that long since those crazy Dutchmen at Philips spun the technology off of laser discs as part of an optical digital audio disc demo in Eindhoven. Of course, the CD didn't immediately take off right then and there. It needed a little help from Sony, which worked with Philips to get the format standardised. The standard they named Red Book, which included everything from playing time (initially 60 minutes), to the disc diameter to sampling frequency. Put simply, the collaboration worked out, and Red Book was a success. In the book The Compact Disc Story, Philips reps lauded the task force they established with Sony. The CD that team created was "invented collectively by a large group of people working as a team," Philips said. If only Apple and Microsoft could say the same, no? Oh, the things they could build. Gushing and my bloviating aside, it wouldn't be until October 1, 1982 that Billy Joel's 52nd Street became the first CD album released. 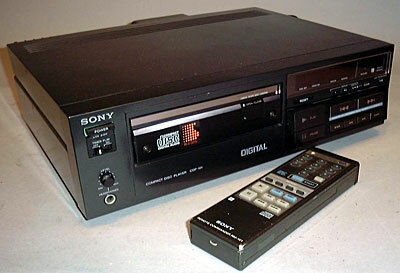 It was conveniently released in Japan alongside Sony's brand new CDP-101 Compact Disc player. The album (and more importantly the medium it was pressed upon) changed history, as more compact disc players were introduced into the market beginning in 1983. The music CD would reach its zenith with The Beatles "1" (30 million in sales), before beginning its eventual and inevitable fall to the Mp3 in the mid-2000's (in 2008, for example, CD sales dropped 20%). Related to that point on Mp3s is copy protection. Or, to be more accurate, the CD's complete and utter lack of copy protection of any kind. When the Red Book was finalised, the standard made nary a mention of copy protection. Other than an anti-copy clause in the subcode, there was nothing. In fact, if a company tried to market a copy-protected CD (no ripping, copying, etc), as many did in 2002, Philips said the discs would not bear the official Compact Disc Digital Audio logo. It's great that Philips did this, because as is the case with many "protected" forms of media today, these non-standardised CDs were anti-consumer; they often did not work in a variety of CD-ROM drives or standalone players. And yet Lars Ulrich was silent. Baffling, but true, and definitely an interesting parallel to today's debate about digital rights management and piracy. As was noted by Blam today in an email to me about this anniversary, Red Book's active attempts to keep copy protection from the spec was incredibly forward thinking at the time. You definitely didn't see it in the infamous anti-consumer Extended Copy Protection (XCP) debacle at Sony Music BMG. Remember that ol' chestnut? Ironic that the creator of the original standard would be somehow involved in one of the most egregious CD-related abuses of consumer trust, no?